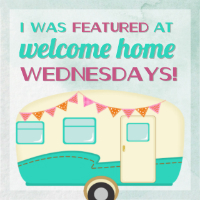 Welcome to Welcome Home Wednesdays number 40! 8 Gals, 8 Blogs & 1 Great Party! Link up once to appear on 7 Amazing Blogs!